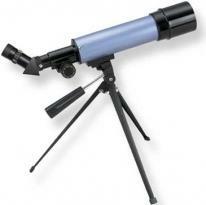 Refractor telescope is rugged, trouble free and easy to operate, Focal length of 350mm, Power range of 20x - 80x. Adjustable table-top tripod for steady viewing. Includes 2x barlow lens, three kellner eyepeices and case. 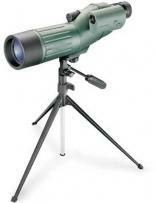 Precision 60mm optics and, 40-100 power range for high-quality imaging. Its 5x24mm finder scope makes it a snap to zero-in on your subject. 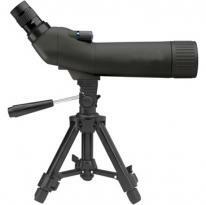 Supplied with 2 eyepieces, tripod and deluxe aluminium case. Telescope Type: Refractor Objective Lens Diameter: 60mm Focal Length: 700mm Focal Ratio: 13 Mount: Alt-azimuth Barlow: 2.3X Interchangeable Eyepieces: (1.25) H25MM (25X), H12.5MM (56X), SR4MM (175X) Finder scope: 6x24 Finish: Metallic Turquoise Weight: 10lbs Additional Features: Aluminum Tripod Accessories Included: Diagonal, Moon Filter. Hard aluminum frame case, nes covers, table-top tripod, instructions, and cleaning cloth. 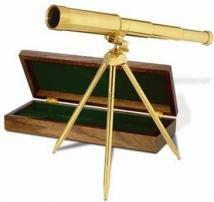 Vice Admiral's Telescope with Oak Base. Material: Polished Silver-Plated Brass. 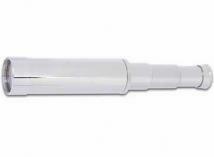 Dimension: Telescope - Closed: 5-1/4 x 1-1/4 dia. (in.) Case: 7 x 2-5/8 x 2-1/2 (in.) Imprint: Telescope - Closed: 3 x 3/8 (in.) Case: 5-3/8 x 1-5/8 (in.) Weight: 1-1/2 lbs. PLEASE NOTE ADDITIONAL COSTS MAY APPLY: A one time charge of $79.00 for logos sent electronically; run charges and other costs may also apply. 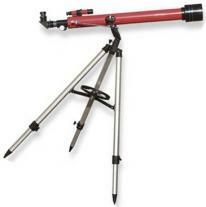 60mm 78-9960 A versatile, talking manual "Go To" refractor telescope that gives an audio tour of the universe, The mount lights up to point the way, Also perfect for land viewing, Style: Refractor Mount: Illuminated Smart. Admiral's Telescope With Tripod /Oak Case. Material: Brass. Dimension: Telescope: 6 x 1-3/8 dia., (in.) Tripod:11 (in.) Case: 12 x 4-3/4 x 2 (in.) Imprint: Telescope: 3 x 3/8 (in.) 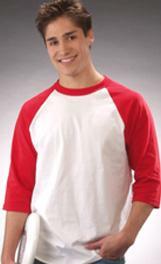 Case: 10-1/2 x 3-3/4 (in.) Weight: 2 lbs. 13-1/2 ozs. PLEASE NOTE ADDITIONAL COSTS MAY APPLY: A one time charge of $79.00 for logos sent electronically; run charges and other costs may also apply. 15x camera magnification, 640 x 480 pixels and Internal 16mb memory, USB cable, Imageview Software, 15-45x zoom eyepiece, Rubber armored with Premium aluminum-frame hard case, Tripod and soft case.